Understand the iterative lifecycle of a prebuilt Analytics app. Understand how to use the configuration wizard that helps you create apps. Reschedule the app dataflow to a time outside normal business hours. Now that you have your special, Analytics-enabled Developer Edition org, you can configure and create a prebuilt Analytics app. In this case, you’ll use Sales Analytics, but the same principles and techniques apply to the other prebuilt Analytics apps. Your worldwide sales manager, Laura Garza, is anxious to get the app. She needs to prepare for a big meeting with her boss, the DTC Electronics CEO. The CEO is flying in next week to take Laura and her team to a celebratory lunch for exceeding their targets last quarter. BUT... first he wants to see how the current quarter is looking. And you’re happy to help, because now it’s time for the fun part—actually creating an Analytics app! This is your first app, but not the last. That’s because the process of creating an app is easy. Prebuilt apps usually include a handy configuration wizard. Sales Analytics takes that a step further with a basic create option, which bypasses the wizard to create an app with a single-click. When you use the wizard, it asks you a series of questions about your data. Your answers tell Analytics how to present data in the dashboards it creates for your app. That means you can create an app multiple times quickly with different settings until the app works just the way you like. We’ve designed apps for business users, not data scientists. Apps make it easy for you to explore your data without knowing what you’re looking for first. Other business intelligence tools can make you jump through hoops before your data can give you the insights you need. Analytics apps do most of the work for you by building dashboards that let you get answers about key aspects of your business. That’s why we made apps easy to create —and create again. As you try different configurations, you learn what gives you the most useful views into your data. You can get a useful result the first time you create an app, especially if you have a standard Salesforce implementation. Then you can refine your results over time as you know more about what you need. And you can create apps quickly every time—without expensive developer or data scientist resources. Create the app using the default answers in the wizard wherever possible just to see what it looks like. Sales Analytics makes this especially easy with its basic creation option. We’ve built our apps so that customers with standard Salesforce implementations get a good result with the defaults. Some apps require you to answer questions where defaults have not been preselected. We’ve tried to keep those questions as simple as possible. Check out the app and see that it’s cool, but notice possible improvements. Create it again, choosing your answers to the wizard questions more deliberately. With Sales Analytics, select the custom creation option to use the wizard. Show the app around, get ideas for how it could be improved, then use the wizard to create a new version of the app. Repeat steps 3 and 4 as often as you like, because it’s so fast and easy to create apps. Dig in to the app. You’ll quickly notice you can change dashboards by selecting different filter options. You can personalize it with a few routine data security customizations using Analytics platform functionality. You can also augment dashboards by adding actions or changing dashboard label names and colors. Once you've created a few Analytics apps, you know how to quickly hone in on the results you want. With that in mind, it’s time to jump in and create your first app. With all that preamble, you’re more than ready to create something useful. And you know that Laura is still anxiously awaiting. In fact, she just texted you to find out where her app is. So, let’s get to work and create Sales Analytics. Sales Analytics includes a basic creation option—recommended for first-time users. You’ll use that since it makes app creation so fast and easy. If you want, start your timer and see just how fast it goes. In your Developer Edition org, open Analytics. Click the App Launcher ( ), and then click the Analytics Studio tile. Make a mental note of this step: Throughout Analytics trails, you have to navigate to Analytics and Analytics apps, and this is the way to do it on the desktop. On the Analytics home page, click the Create button and select App. Scroll through the list of templates. Lots to choose from, right? Browse through them to see all the apps you can create—maybe some of them will really help your business. For now, you just want to learn about Sales Analytics, so select that template, and click Continue. This opens the preview page for the app, which gives you an idea of what you can expect to see in the app you create. Scroll through it to see what the finished app contains, include preview images of all its dashboards. (If you want, you can take a minute or two to learn about some of the other templates, click Back and select other templates. When you’re done, select Sales Analytics again. )lick Continue. This kicks off a compatibility check to be sure your org has all the data needed to create the app. We’ve set up your special Developer Edition org to be sure it has all the right data. (When you create Sales Analytics in your own org, you might see error messages with instructions on how to fix any issues.) Click Looks good, next and move ahead. You see two options: Basic, which uses the default settings to create the app, and Custom, which lets you go beyond the defaults and choose your own settings. Select Basic, since you’re creating your first app to see how it goes. Later, in the Sales Analytics App Trailhead module, you create the app again with the Custom option and try out the configuration wizard. But let’s not get ahead of ourselves! Click Looks good, next and give your app a name. Let’s call it “My First Analytics App.” Then click Next and let the magic begin! How easy was that? Just a few clicks, and you're pouring yourself some coffee while Sales Analytics goes to work. Analytics also makes it easy to revise configuration settings. Next time you create an app, Analytics gives you the choice of creating a brand new app or using the settings from an existing app. Choose an existing app to open the configuration wizard with those settings. That gives you an easy way to see what you selected the last time you created the app. While Analytics creates your app, now’s the perfect time to meet the Trailhead Data Manager (not to be confused with the Data Manager feature of Analytics), a tool we built specifically for Trailhead. Why? Well, in real life, your org is a bustling, ever-changing world. Your Developer Edition org is a fantastic playground, but it's pretty static: just a couple of users, no real activity, and data that grows more stale with each passing day. We don't want you to spend your valuable time manually updating dates in records, hacking the dataflow, or pasting together CSV files, so we're doing that for you with the Data Manager tool. It helps make your Developer Edition org feel a little more like a real business. For now, you just need to refresh your data. Your org comes loaded with data—opportunities, accounts, activities, and so on. This step wipes old data and creates a fresh set of up-to-date data, with dates relative to today. Sales Analytics looks at relative date ranges, such as “this quarter” or “last month,” so without running this step, your dashboards are empty. Run this step anytime you've been away from Trailhead for too long. Be sure Analytics finishes creating your app and you can see dashboards before running the Trailhead Data Manager. Go to Analytics Studio in Salesforce by selecting the App Launcher at upper left, then clicking the Analytics Studio tile. Click the Apps tab. This is where you can go to see all Analytics apps you create. To the right of apps, the tabs for dashboards and datasets take you to the assets created by Analytics. These tabs come in handy later as you need to move around Analytics and your app. Click My First Analytics App—the app you just started to create. If the window that opens says “This might take some time. Grab a cup of coffee while we create your app!”, that means your app isn’t ready for the data manager yet. Wait a few minutes and refresh your browser until you no longer see that message and the window contains dashboards and datasets. Once you see dashboards and datasets, you’re ready to run the manager. Also, you only need to use the data manager in Trailhead. You won’t have to use it to set up Sales Analytics in your own org. Make sure you’re in Analytics Studio. 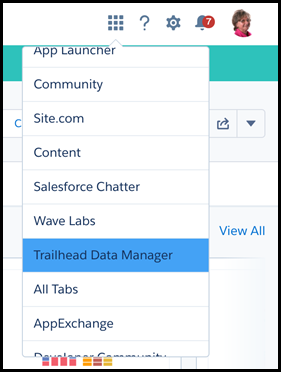 From the app picker at upper right, select the Trailhead Data Manager If you don’t see it right away, scroll down a bit. Select the Trailhead Data Manager link below Items. Click the Refresh DTC Data button. When you run this step, you delete and restore the data with fresh dates. Other than the new dates, the records stay the same. However, if you had manually changed a record, that change would be overridden. While the Trailhead Data Manager is refreshing your data, you can learn what’s going on “under the hood” and learn about an admin task: scheduling the dataflow. Remember when you created the app, Analytics told you to go grab a cup of coffee? Analytics needed a few minutes to run the dataflow to create the app. 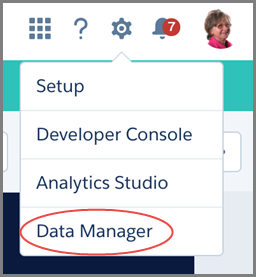 A feature called the Data Manager (not to be confused with our special Trailhead Data Manager) lets you see Analytics pulling in the latest version of your Salesforce data to populate your app. A dataflow is a set of instructions that specifies what data to extract from Salesforce objects or datasets. It also specifies how to transform the datasets and which datasets to make available for querying. 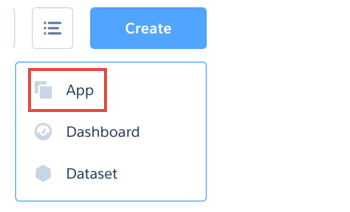 The Data Manager lets you take care of another part of app creation you should do when you deploy apps in your own org. Creating the app runs the dataflow once. Your team creates data all the time. To be able to see that data in your app you can manually schedule a dataflow to run every day. With a daily dataflow, your app reflects changes to Salesforce data your team makes during the previous 24 hours. Let’s have a look at the Data Manager and see where you would schedule a daily dataflow. We won’t do that here. The Trailhead Data Manager takes care of refreshing your data for you and we don’t want to add extra overhead to your Developer Edition org. Make sure your Developer Edition org is open to Analytics Studio. Click the gear icon in the upper right and select Data Manager. The Data Manager opens to jobs and you see an overview of all recent dataflow jobs. The job for the “My First Analytics App” is at the top. If you don’t see it, click the Refresh icon a couple of times. It can take a few minutes. While looking at jobs, click the + sign next to My First Analytics App to see its status. You might recognize object names that are common in Salesforce data. These are the building blocks that Analytics arranges into lenses and dashboards. At upper left, just below the word Monitor, select Dataflows to switch to switch to dataflow view. Scroll down to find My First Analytics App. Click the triangle on the right side to open the drop-down menu. This is where you can start dataflows to refresh your data for the app, and upload or download dataflows for your org. 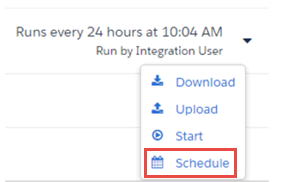 To schedule a daily dataflow, you would click Schedule. This opens the Dataflow Schedule window. In your own org, you’d schedule the dataflow to run outside normal business hours when nobody is working in the org. Here, we leave it as is since we don’t want to run a daily dataflow, so click the x in the upper-right corner to close the window. Great work! Now it’s time to check your email. You should have received two: one stating that the app is created and awaiting dataflow results, and another saying that the dataflow completed successfully. For Trailhead only, complete the following procedure. You don’t have to do this to set up Sales Analytics in your own org. After you receive the second email, you need to run a new dataflow. Remember, this is a magic script that makes sure data works correctly in your app. It’s just for Trailhead, not for real-life Analytics apps; in your Developer Edition org, you have to do this every time you create an app. But don’t worry, we’ll remind you. From the apps menu, select Trailhead Data Manager. On the next page, click the Trailhead Data Manager link. Click the Download Trailhead Dataflow circle. From the app menu, select My_First_Analytics_App. Click the Download Dataflow for My_First_Analytics_App for Trailhead button, and save the file to the desktop. It should be called My_First_Analytics_App_for_Trailhead.Json. Go back to Analytics Studio by selecting it from the App Launcher at upper left. Click the gear icon, and select Data Manager. From the menu in the upper left, select DATAFLOWS near the top, under Monitor. Scroll to My First Analytics App. Open the menu on the far right opposite the app name and select Upload. Click Select a file, navigate to the file you just saved to the desktop (My_ First_ Analytics_ App_for_Trailhead.Json), and select it. Click Open, and click the Upload button, and then click the Done button. Select JOBS near the top, under Monitor. Look for My First Analytics App and see the status of the job to the right, under Status. When the dataflow finishes running, the Status column changes from Running (in red) to Successful (in green). Once you have the green checkbox, it’s time to check out your first app! Way to go! You have your first Analytics app—and you did the Trailhead-only steps to make it into a realistic playground—extra “Bravo” for that. Now let’s see what all the excitement is about! Go back to Analytics Studio by opening the app picker at upper left and selecting it. And now, the moment you’ve been waiting for. Look for My First Analytics App, click it, and you go to a page showing all the app’s assets, including dashboards, lenses, and datasets. Keep this page in mind: If you and your team want to customize your experience, typically you’d start here. But for now, you want to get to your app as quickly as possible. Click Run App at upper right and … Voila—the app’s home dashboard, where you can see top-level KPIs. Scroll down to see a list and descriptions of all the other dashboards. 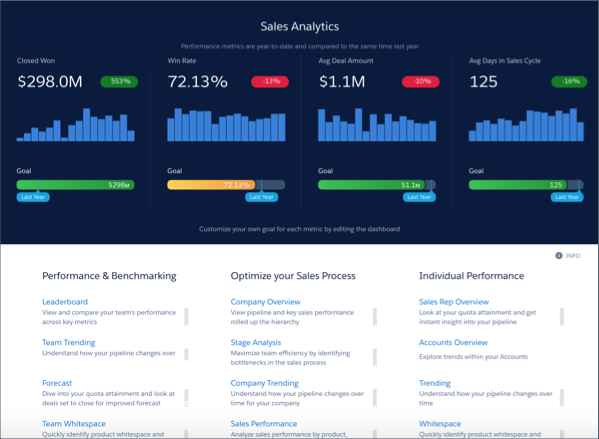 We’re not going to linger here—you can learn more about Sales Analytics dashboards in the Sales Analytics module. For now, let’s take a quick look at one of the dashboards. Scroll to find the Team Benchmark dashboard, and click to open it. As its name suggests, the dashboard shows how the sales team is doing over a given period. To see how dashboards work, try changing the Time Period filter at top right from This Quarter to Current Fiscal Year. If the dashboards in your Developer Edition org look a little different from the images we show in Trailhead, don’t worry about it. There can be discrepancies in data from one org instance to the next. Interesting! In a glance, you can see how much business each member of the team has created for the selected time period. This dashboard is a great example of the charts and specially filtered data tables that give you immediate insights into your data. And from here, you can quickly drill in for more detail. Or, click the home button in the upper left to go back to the home page. Impressive, right? Laura’s going to love it! Your app’s just been born, and you’re already seeing a lot. Imagine what can happen as you get further into its lifecycle by going through the app creation process again, this time giving a little more thought to how you answer the wizard questions. You used the basic creation option when you created your first app and used the standard app settings. When you create a prebuilt app—whether it’s Sales Analytics or another—in your own org, at some point you’ll use the custom option to choose your own settings. The basic option accepts all the recommended default settings. The custom option opens the wizard and its pages of questions and answers, which let you vary from the defaults. Go to Analytics Studio, click Create, and select App. Select Sales Analytics, and click Continue. Select Create a brand new app and click Continue. After the compatibility check runs, click Looks good, next. Select Custom and click Looks good, next to open the wizard’s first page. Take a short trip through the wizard by clicking Looks good, next (or Back, if you want) on the next few screens. When you get to the screen where you can name your app, close it by clicking the X in the upper right corner. Don’t create another app just yet. The first time through, it might look complicated. But if you keep in mind these simple rules, you’ll see there’s no mystery to using the wizard. Read through the questions before you answer any of them. It’s helpful to slow down and get a good idea of what information you need to provide. Look at the menus containing possible answers and the explanations, too. The wizard lets you move forward and backward through the questions. When in doubt, go with the defaults. Since apps are intended to deliver value right away, the preselected answers to wizard questions should result in a useful app. With some apps, all the questions don’t have preselected answers. In those cases, Analytics reminds you to make a selection. The wizard only lets you fine tune your analytics experience. Wizard settings let you change certain parts of dashboards, such as filters and the fields apps use to calculate KPIs. But you can’t control layout or most app content. We’ve predetermined most app elements to give you a useful experience right out of the box. You can only choose a field once. The wizard asks you to select fields from standard Salesforce objects, and you can choose a field on each object once and only once. This includes standard Salesforce fields as well as any custom fields you’ve set up on an object. Only some answers make sense given the question’s context. While wizard questions may let you choose from a multitude of fields, only some work for your app. For example, sorting accounts by Photo URL simply doesn’t make sense. We won’t show you all these rules in action, but as you experiment further with your own app creation, keep them in mind. Until you get the hang of them, go slowly. Maybe at first, change just an answer or two. Then you can see exactly what each change does. Wow, you’ve accomplished a lot! You’ve seen how easy it is to create a prebuilt Analytics app. Along the way, you’ve seen a couple of prebuilt dashboards and seen how to use the data monitor to reschedule the daily dataflow. And you’ve learned about the configuration wizard. The techniques you just used with Sales Analytics apply to any prebuilt app. Now you can see how the interactive, ready-made dashboards give you a visual summary of your data with only minimal setup on your part. 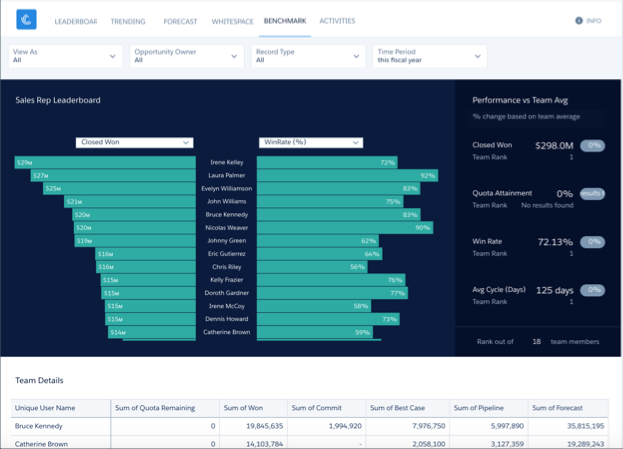 Salesforce prebuilt apps show you the state of your business using the data you already have in Salesforce. Even though there’s more to learn, for now you know enough to create any prebuilt Analytics app quickly, and to experiment further on your own. As you can see, it goes fast, and if you happen to make mistakes you can quickly recover. In the next unit, you’ll take care of some admin tasks and then share your app!